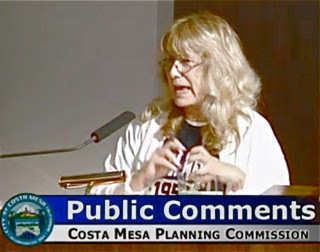 The Costa Mesa Planning Commission met last night in a meeting that ran longer than many expected. But, they accomplished quite a bit, so I'm not complaining - about the length. 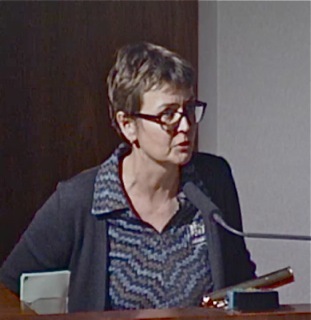 During Public Comments Beth Refakes alerted us that the Military Affairs Team is again collecting toys for the children of the 1/5 Marines Easter Egg Hunt. A foot locker is placed in the City Hall lobby for that purpose. An unidentified person told the commissioners they should see the movie, "The Big Short" because it's relevant today. 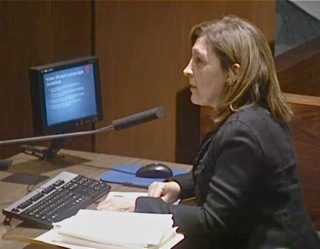 She also mentioned the apparent scheming going on with the Episcopal Diocese in Los Angeles regarding title to local church properties. 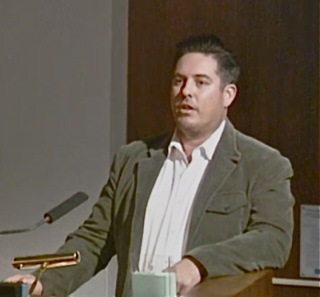 During Planning Commissioner Comments Stephan Andranian wondered about Code Enforcement violations with the Saddleback Church. Tim Sesler chided the speaker above - a real classy guy. Colin McCarthy spoke about the meeting at Fairview Developmental Center to gather public comments about the future of that State facility. Apparently the meeting is from 10 a.m. - 5 p.m., Saturday, February 6th. He also mentioned the record number of building inspections last year, but attributed them to our neighbors fixing up their houses - not all the new construction going on around town. Jeff Mathews said nothing. 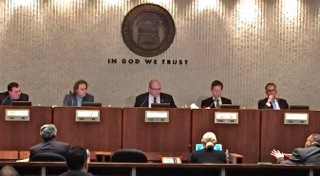 Rob Dickson also mentioned the Fairview meeting and gave props to the Costa Mesa United golf tournament last week. During the discussion of Public Hearing #1, the new Landscape Standards required by state law, planner Minoo Ashabi guided us through a slide presentation. I've shown them below. Click on each to enlarge for easier reading if necessary. There were no public comments. Public Hearing #2, the request for a Conditional Use Permit for live music at Al Forno Italian restaurant in Mesa Verde was approved after a short discussion. The main concern was the possibility of another restaurant coming in and using that approval for loud music. 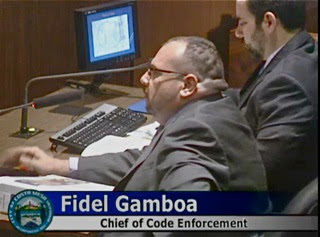 Chief of Code Enforcement Fidel Gamboa assured the commission that any such problem could be handled by his group with the existing conditions as specified. The commission passed it, 5-0. 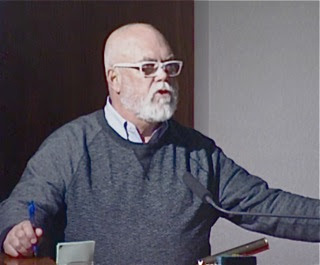 Public Hearing #3, the Conditional Use Permit for Gunwhales Ale, a proposed new microbrewery locate on Randolph Street was anything but routine. 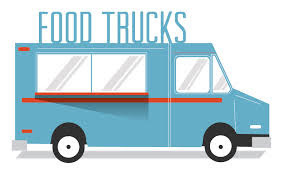 Among the sticking points that generated much discussion were the use of food trucks to supply food, the lack of clarity of which type of liquor license would be issued and the parking arrangements. One the owners, Bob Fitzgerald, made the presentation. 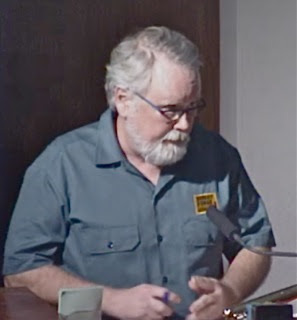 Resident David Smith, who told us he represented the residents of a local neighborhood, Pentridge, was concerned about the hours of operation and his perception of a lack of code enforcement. He also expressed his opinion that a traffic light was necessary at Baker and Randolph. Greg Neyland and his wife (I didn't get her name), the husband and wife team who own the nearby Barley Forge Brewery both spoke at length, observing that when THEY applied for their conditional use permit they were specifically forbidden to consider using food trucks or caterers, so they had to go to the expense of building a proper kitchen. They also complained because that caused them to pay much higher fees than this applicant. They complained about it not being a level playing field. 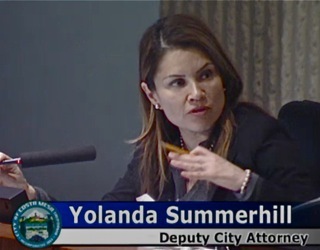 During the discussion Deputy City Attorney Yolanda Summerhill advised that each request is handled on its own merits - that no two conditional use permits were identical. 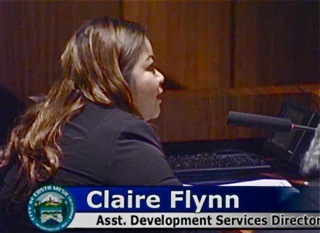 Assistant Development Services Director Claire Flynn advised that, depending on which type of ABC license was issued, the applicant may be required to appear before the commission again. The parking issue revolved around the proposed hours of operation and how they didn't seem to mesh very well with the requirements of The Commissary, who has the rights to all the parking spaces from 8:30 onward. The Gunwhale proposes to close at 8:30. After much conversation and speculation, Flynn resolved it by simply stating that this applicant knows what the parking rules are and must comply with them or be in violation of the CUP. The food truck issue was, more or less, resolved by conditioning it to one truck at a time, which must be parked onsite. The potential chaos from extremely popular food trucks drawing a large crowd on their own was problematic. When the commission finally approved the CUP, it was conditioned to include a 6-month review by staff. I must say that there seemed to be an inconsistency with the way the rules had been applied for the Barley Forge Brewery and with this project. The folks at Barley Forge were forced to make very expensive unanticipated improvements and pay hefty fees, too, that this project will avoid because of the inconsistency of the application of the rules. Following a break they took on Public Hearing #4, the request for the expansion and expanded valet parking for SOCIAL, a restaurant that has become enormously popular - according to the owners it was named best new restaurant in Orange County last year. Even though the existing parking seems to be adequate for the 50% expansion of space, they've made arrangements for more valet parking spaces nearby. The applicants played a CMTV tape prepared for their Mayor's Award presentation last year. The commission approved this one, 5-0, too. The final item on the agenda, Public Hearing #5, is the five-unit small lot development at 548 Victoria. 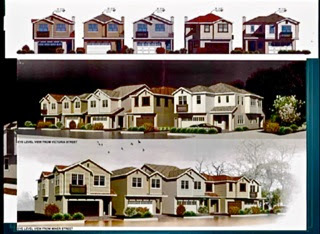 The five units actually front on Miner Street and the rear of the lots abut Myran Drive, which has four homes on the opposite side of the street, facing this development. A member of the Myran Drive community asked for a higher wall along the back of the project - right now a 6-foot wall is planned. After some discussion it was determined that the six-foot wall, combined with the 20 foot setback and, perhaps, more trees, should suffice. This project meets or exceeds all requirements under the small lot ordinance, including being fully parked. 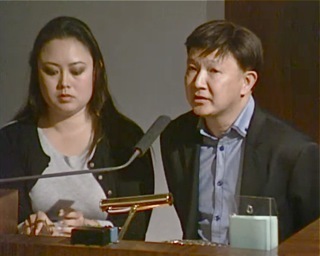 Representatives of the developer who spoke, Jennifer and David Nguyen, had only one concern - the condition to underground the utilities. After lengthy discussion the commission determined that it's not fair to place the expensive burden of removing the two utility poles - estimated to reach as high as $300,000 - on the developer. It would make the project too costly to complete. So, that condition was removed and the commissioners approved it on a 5-0 vote. These homes will certainly enhance the neighborhood - they are all 4-bedroom, 3-bathroom homes ranging in size from 2400 - 2900 square feet. 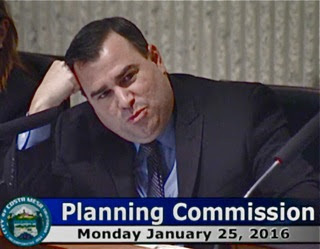 And, once again, Colin McCarthy was almost orgasmic as he sang the praises of the Small Lot Ordinance - and wondered how they could make the public more aware of its success. Funny, as they go about measuring the "success" of that ordinance, I wonder if they REALLY consider the impact on the neighborhoods where such developments have been built? More traffic, more stress on the utilities, more people compressed into a smaller area. I understand that he's part of the cabal in charge right now that just LOVES to build on every square inch of earth they see. But, is it really making our city "better"? Some would say not. In any event, the meeting closed with Bart Mejia telling us that the long-delayed landscaping enhancement at the terminus of the 55 Freeway should be taking shape in a couple weeks when the new monument sign arrives. He also told us that the Del Mar Entry Improvement is underway. The meeting ended just after 10 p.m. I'm sorry, but I just have to say it: that photo of McCarthy looks like he's anticipating a big banana from his circus handlers!